As January comes to a close, Camus and Slarek use this week's blog spot to remember and pay tribute to one of our greatest character actors, who passed away on Friday aged 77, and recall some of their favourite Hurt performances. "Uncle Claudius, I wasn't the Messiah after all, would you believe that? Could have knocked me over with a feather when they told me that." 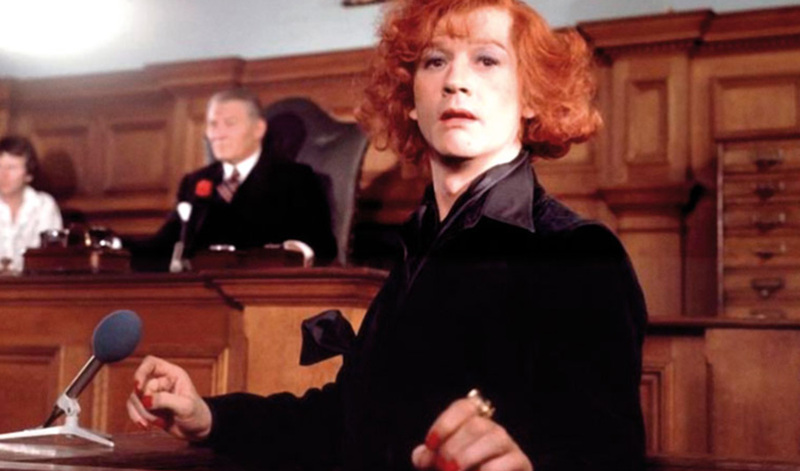 I can almost pluck those lines from memory, so powerful was John Hurt's performance in his second break-out role. Now that we no longer have a John Hurt performance to look forward to, when I think back, I am astounded by how many extraordinary and memorable roles he took on. The breadth of each of their characterisations is simply staggering because he took chances – the dance he performs in I, Claudius is sometimes excruciating to watch and that was the point. His performances stuck long in the mind even in less-than-classic movies. The man didn't have an inauthentic bone in his body when it came to his craft. I feel about the late John Hurt the same way I feel about Sally Hawkins. There's a charisma there of course (why watch any performance if you're not attracted to it or genuinely engaged with the narrative? ), but there's also a subtle dissemination of emotional honesty that I feel as an actor, you may have to be born with. It's not something I feel can be learned. But then I'm reminded of that Hollywood joke, "What you need to succeed in L.A. is sincerity. If you can fake that, you've got it made." Hurt as an actor never faked anything even though he was, by the definition of 'actor', faking it. John Hurt was the first actor in my early memory who convinced me that being convincing is at the heart of any performance. Most actors to my young teenage eyes were wedded to the roles they played. Hurt made me regard talent in an entirely different way. One minute he was a vulnerable but defiant gay man and the next a self deluded psychotic god... And he utterly convinced me of both. Hurt's range was vast. He has played the victim Winston Smith in 1984 as well as Big Brother himself, Adam Sutler in V For Vendetta. But for iconic roles you can't ignore Alien (not a great stretch as a character, Kane but what a send off) and as John Merrick in The Elephant Man he broke our hearts. And then there's the ice in his soul as Braddock in The Hit. Hurt was a character actor par excellence who gave every role his all. It's heartening that a young Harry Potter fan might want to check out Wand Maker Ollivander's back catalogue and discover some real treats from his oeuvre. No more John Hurt performances is almost as tragic as the man's passing. The acting ranks lost a master on the 25th January. R.I.P. John Hurt. For me, John Hurt had one of the most distinctive and glorious voices in film and TV history, a gravelly growl that seemed perfectly matched to his distinctively craggy features. It seemed like the voice of a man who had done some seriously hard living and somehow made it through alive, but was saddled with audible scars of the experience. It thus made so much sense to me that when AIDS was first recognised as something that the public needed to be made aware of, it was Hurt who provided the voice for the sinister infomercial that hit British TV and cinema screens, one that concluded with the tagline, "Don't die of ignorance." Ironic, then, that he also had two of the most impactful screen deaths in 70s cinema, first when he was hung with chilling realism for a crime he did not commit in 10 Rillington Place, and later when he became host to a predatory extraterrestrial that bursts bloodily out of his chest in Alien. Like my esteemed colleague, I first really became aware of John Hurt through his bold and brilliant performance as Quentin Crisp in Jack Gold's ground-breaking TV drama, The Naked Civil Servant, a film opened all our eyes to a man and a lifestyle that few of my age had even been aware of, and had certainly never encountered. Hurt's immersion in the role was so complete that it was all too easy, at least at the impressionable age that I was then, to believe that his portrayal was a reflection of his off-screen personality and this is why he cast in the first place. How wrong that proved to me. 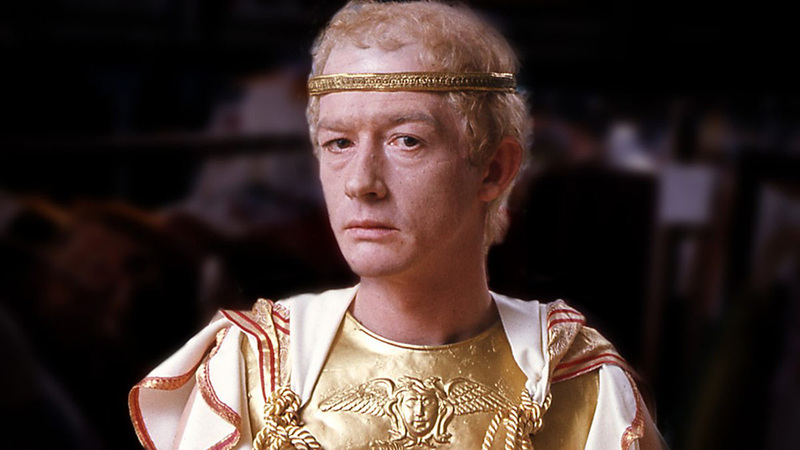 The following year he was cast as Caligula in the BBC's magnificent adaptation of Robert Graves' I Claudius, and Hurt went from being a colourful victim of societal prejudice to the most terrifying and unpredictable monster ever to manipulate his way into the Roman Imperial Palace. Since then he's given so many fine performances in so many notable films, from a drug-addicted prisoner in Midnight Express to his the extraordinary, humanisation of John Merrick in David Lynch's The Elephant Man and his born-to-play-it portrayal of Winston Smith in Michael Radford's superb adaptation of Orwell's increasingly prophetic 1984. That some of the same titles crop up in both of our contributions here (we are of similar age) doubtless says something about our unified view of what made Hurt such a marvellous actor and captivating screen presence. Kane in Alien – one of Hurt's most iconic roles, one I could write a small essay about and whose every line I know by heart now, though for its chilly implications and delivery, my favourite is probably, "I remember this terrible dream about smothering..."
Gilliam in Snowpiercer – the most recent of Hurt's films that I've so far managed to catch and an absolute belter. When you're done, you might also want to check out Sinful Davey (1969), Mr. Forbush and the Penguins (1971), The Ghoul (1975), Watership Down (1978), Heaven's Gate (1980), The Plague Dogs (1982), The Osterman Weekend (1983), The Black Cauldron (1985), Scandal (1989), The Field (1990), Frankenstein Unbound (1990), Love and Death on Long Island (1997), Hellboy (2004), The Proposition (2005), An Englishman in New York (2009), Melancholia (2011), Tinker Tailor Soldier Spy (2011) Only Lovers Left Alive (2013), and, oh, so many others. RIP John. You really were one of the best.